MiMOSA has dubbed Boulder as one of his favorite places to play. 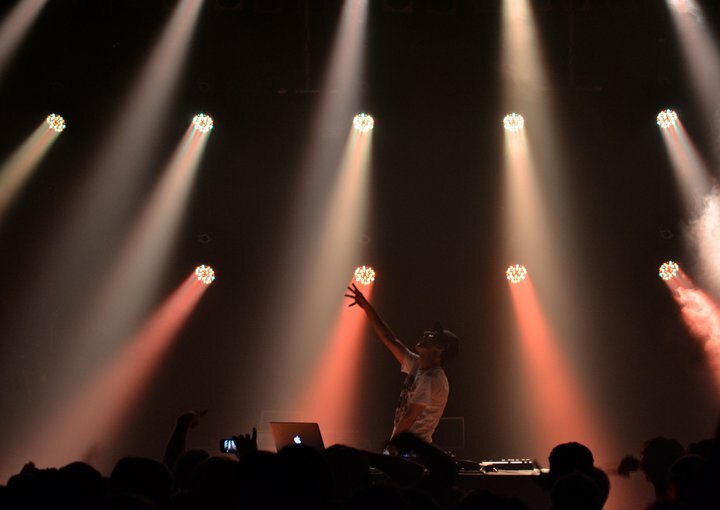 – BOULDER, Colo. – West coast dubstep/glitch artist, MiMOSA, invaded Boulder Saturday night, April 16, playing in front of a sold-out crowd at the Boulder Theater. Saturday’s show undoubtedly left no MiMOSA fan disappointed as the DJ took fans on a journey into the unknown universe of electronic music. With crunchy-twisted basslines, deep-soaring sounds, scream-in-your face vocals and more samples than a Whole Foods superstore on a Sunday, MiMOSA all-but tore the roof off the theater. MiMOSA appeared on stage as a silhouette behind a cloud of smoke and lasers, with Kid Cudi and Rat-a-tat’s “Pursuit of Happiness” pumping from the speakers, before delving into a set of original bangers and remixes. By the time the smoke had cleared it was obvious the night would take a turn for the epic. No more than 20 minutes into the set the theater had been transformed into a saturated mob of sweat, fist pumps and perpetual movement. The crowd, a mixture of haphazard, atypical youth and college students, embraced the conditions as an unexplainable joy took hold of all in attendance. MiMOSA’s super deep and heavy basslines caused excessive rattling of the walls, which only seemed to provoke the DJ and fans, who seemingly made it their duty to rage the century-old theater to the ground. Nearly accomplishing this feat, Boulder received praise from MiMOSA who dubbed the city as one of his favorite places to play. The night came to an end shortly after 1 a.m. as MiMOSA left the stage and fans tried to comprehend the zero-gravity, senses-shocking experience of epic proportions they had just been witness to.